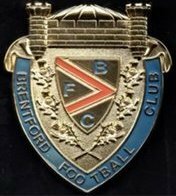 Interests:Brentford FC; the players & the history of the Football Club. A name, a service number, a place and date of birth, would help those with the knowledge on here who can assist you. His move from the Yeomanry to the RWF suggests that he was in either the 1st/1st or the 3rd/1st. In March 1917 the 1/1st merged with 1/1st Welsh Horse to form the 25th (Montgomery & Welsh Horse Yeomanry) Battalion of the Royal Welsh Fusiliers who served in Palestine in the 74th (Yeomanry) Division. The 3rd/1st were disbanded in March 1917 and the men were transferred to the RWF (2nd/1st and 4th Bns). The 3/1 didn't serve overseas. Interests:Swansea Battalion (14th Welsh); Swansea in the Great War, Neath RFC, Victorian Neath and Swansea, Victorian Poor Law, Henry Coombe-Tennant. To get a medal you had to enter a theatre of war. Home service only meant no medal. Member hywyn should be able to throw more light on this, if he sees this topic. Meantime, if Oliver Evans' RWF entry is the first on his medal Index Card, that's with whom he first served overseas (and these are the details impressed on his medals). He may well have been a Montgomeryshire Yeoman before that, but didn't serve with them overseas. Men were usually transferred to the Labour Corps (formed 1917) because they were less fit for front-line service owing to wounds or illness. His service papers survive, though partial and poorly-preserved. Seems clear though that he joined the 3/1st Montgomerys under the Derby Scheme in December 1915, being mobilised for service in January following. Served in the UK, being posted to RWF ?shortly before going to France in Feby. 1917, where he was transferred to 66 Coy. Labour Corps. Returned to UK 17 March 1918, joining the 548 Agricultural Company Lab. Corps, and demobbed 9 April 1919. The Agric. company would have been a logical destination for someone who lived on a farm as he did. The reason for his medical downgrading isn't clear - partly due to the state of the file, though his "poor" physical development was noted on the initial medical form. But from a Grade "A" fitness at enlistment he had been downgraded to a "B1" at the time he was demobilised. A transfer back to the UK and the Agric. Company suggests that his condition had worsened out in France. I'm also unsure about the RWF, in that although he went to France he didn't apparently see front-line service with a battalion of that regiment. Trying to decipher the file entries, he may have been employed in a Regimental labour company of some sort even then, prior to the formation of the Labour Corps proper in January 1917 and his transfer. I'm afraid I don't know much about the Labour Corps individual companies. No Labour No Battle by John Starling and Ivor Lee is the best overall work on the Corps. I suspect they're the same ones you found, on Ancestry? The medical examination form survives, and other grades etc. appear here and there through the series, but no documents offering explanations as to what was wrong with him. The 1940 Arnside Street warehouse bomb and fire-fighting means that even when files survive, they are often singed and water-damaged: but that's all that we have! The Pensions Files series is in better condition because they were stored at a different location. The originals might conceivably be just a tad easier to read - perhaps under ultraviolet light, for example - but they are so fragile that general access isn't allowed. You could try sending member hywyn a PM message, drawing his attention to this thread. Search for him under "Members List" at the top of the page, click on his name and then "Send message". He is very good on individual RWF servicemen. Further to the comments by Clive above. His RWF number (65994) is in a block (roughly 65000 to 66100) allocated to the extremely short lived 7th Garrison battalion RWF which was formed in Bebbington January 1917 and disbanded the following month. The block consists of men transferred in from various other Regiments/units who came under the command of Western Command. 3. To France four days later on 9/2/1917. 4. On 14 5 1917 these two Coys are re-designated as 66th and 67th Coys of Labour Corps and the new, Labour Corps numbers allocated. Thank you for posting Hywyn. I was just digging through the same block, as I purchased a BWM today; 66023 - Thomas Eric Stafford. R.W. Fus. Ancestry lists him as 39979 Labour Corps; "No Labour No Battle" has this number in a block allotted to 2nd Infantry Labour Coy - King's. (67th Coy). Searching near numbers I found; 66027 - George Henry Humphreys (39781 L.C), who died on 23/9/1918 whilst serving with 67th Coy Lab Corps. I was scratching my head as to why he is buried with a R.W.F headstone and number ; CWGC records him as " 7th Btn RWF. - transf. to (39781) 67th Coy, Lab Coy". I then read that in 1919 it was decided the headstones of L.C men " who had previously served in any other unit, should record his connection with his previous regiment" - any idea if the same official policy was applied when the medals were issued? The MIC and Lab. Corps Medal Roll both state that he landed as a member of the RWF, even though his medals were issued off the Lab. Corps roll. No mention of the King's. So his medals would be impressed to RWF.